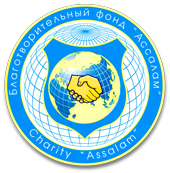 Public organization "Committee on protection of rights and freedoms of citizens "Shield"" and Charity Fund "Assalam" in a head of President Daher Saleh and everyone not indifferent on December 18, 2012 organized an action in Odessa. The aim of the action was dedicated to the protection of Palestinian people who live on the territory of Syria. December 16, 2012 released by the Syrian air force camp "Yarmuk" at least two missiles, one of which hit the mosque, which was then sheltering Palestinian refugees. Number of fatal air strike on camp, where about 100,000 Palestinian refugees, was at least 25 people, not to mention the wounded. More and more Palestinian victims are seeking for help. Are destroyed not only homes, but also social facilities - hospitals, schools, bakeries. There are constant attacks on industrial buildings and power plants. Authorities are struggling to cope with basic health interventions. Begins hunger. Shortages of fuel in winter, lead to the fact that people are freezing banal in unheated areas, can not cook a hot meal. Committee on protection of rights and freedoms of citizens "Shield" and Charity Fund "Assalam" prepared and sent letters to The International Committee of the Red Cross and the Office of the High Commissioner for Refugees, the United Nations (UNHCR) to finally turn their attention to Palestinian people, who are innocently suffering in Syria.